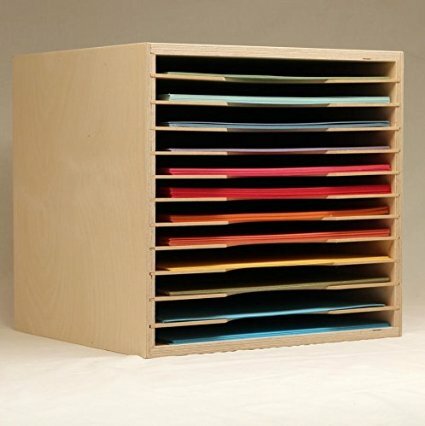 This comes as a 6 pack set so that you can organize all your projects into separate files. As you can see in the picture it will house your paper, pages on the go and all the accessories so you can simply haul out this case depending on which project you feel like working on. If you are trying to organize your scrapbooking or crafting area, this drawer unit is specific to scrapbook supplies and papers. Keep everything flat and with the clear fronts you can see everything you need. 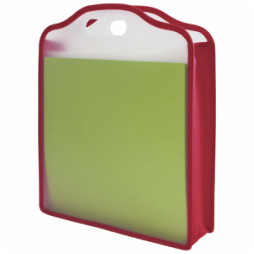 If scrapbooking is your craft and you are looking for a portable and yet affordable place to store your paper sheets, card stock and more, then look at these file cases. This unit will hold up to 600 sheets alone. You could simply keep this on a shelf or even on your work top. 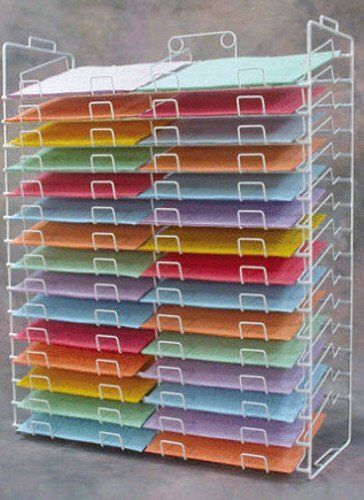 These file dividers for storing 12x12 scrapbook paper are acid free and created from durable frosted plastic. The combonation of the paper storage dividers and the storage rack above will house a lot of paper and card stock. You can easily see it and labels are included. So, if you are trying to organize an area for your scrapbooking crafts but don't want to invest in craft storage furniture then using these portable paper storage ideas will work well if you just create a little space for yourself and a work area. Now there will be no more searching for the right card stock or purchasing doubles because you couldn't find the one you wanted. 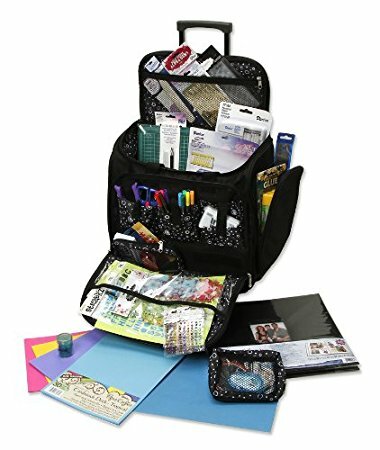 it would be nice if you had your own arts and crafts room but that is not always practical, so investing in some portable scrapbooking storage is a great solution. If you want something a bit more vertical and visual yet still portable, then this paper storage tower will house 12x12 scrapbooking paper with ease. It is on wheels and can easily be rolled into a corner when not in use. All ove the above storage ideas are a very affordable way to find safe paper storage for all your cardstock and other pages, especially in the 12 x12 scrapbook paper size. 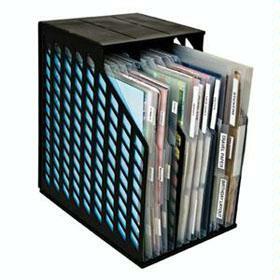 Scrapbook Paper Storage - This is definitely for that serious scrapbook pro.. This rack will hold many different papers and all where you can see them. This sits on the floor and could be placed up against a wall to save room. Although not quite as portable as other paper storage systems, this one is sturdy and can be stacked if you have a lot of paper to store. You could stack this in a closet or corner. But is a great way to keep your papers clean and flat.. If you prefer to store your cardstock in something a bit more closed and protected and you have shelf space, then these specially designed paper storage boxes will work well. You can get them in different colours and they are 14.75 x 13 inches, so storing 12x12 inch cardstock sheets or specialy papers will not be a problem. These storage boxes will stack well and are robust and affordable. If you have access to a bookshelf or simple wall shelves then you could store all your paper supplies and scrapbooking supplies in boxes that leave a room looking neat and tidy. If you are trying to setup a craft or hobby area, then look for affordable and creative ways to store your supplies, you can get the above online, just click their links or pictures. 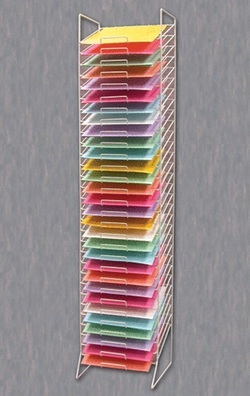 I thought this was a really cool way of storing all your scrapbooking supplies. You can have everything you need in this pretty tote. Scissors, pens, punches, just about everything, making it easier to travel with your craft. It could also be used for other arts and crafts supplies. But just thought I would include this in your paper storage ideas, as you still need all the accessories.